What happens to motivation after a New Years resolutions fades away? The month of February is really hard to get through for me- the shortened day light, the cold winter nights. It seems to me and a few others with whom I've chatted that we carry a few extra pounds we found on those cold winter nights. We eat more comfort foods. We are covered up with big bulky sweaters and we just want to feel happiness. Then March rolls on in. It's a bittersweet time of year for me. It's been 19 years that I have celebrated my birthday without my big brother and 3 years without my baby boy. It's hard to celebrate when a piece of your heart is chipped. I put on my smile and embrace the day because I'm still blessed with a family and friends that love me. Digging deep, I find the will to realize that I have lost some of my mojo and need to get it back. I lose the comfort foods of winter and redefine who I want to be and what my goals are. This year I want to be an "Irongirl" so that is my focus. Application Process to Begin Shortly!!! 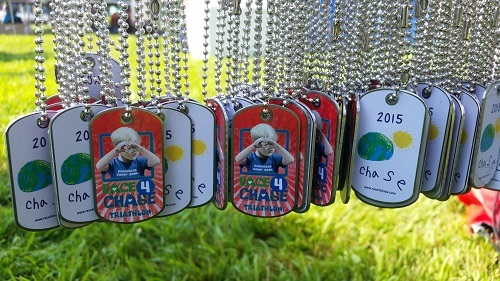 The Race4Chase Kids Triathlon Program will be attracting close to 500 young athletes to participate in the six week training program at the fourteen sites within Connecticut and one site in Fort Mill SC. Each of these sites will be conducting their own application and selection process within March and April to choose the athletes that would benefit most from this program which is free to all participants. Given the success of the programs in 2015, we expect to have enthusiastic participation at most of our locations, so that it would be best for those who have interest to inquire now at their preferred site as to the details of the application process. Please see the list below for the locations that will be hosting a program this year. We hope to see everyone at the FINALE event at YMCA Camp Sloper on August 6th. The 2nd Annual Birthday 2 Birthday Challenge is adding new participants each week, especially as the weather has turned better in the Northeast. 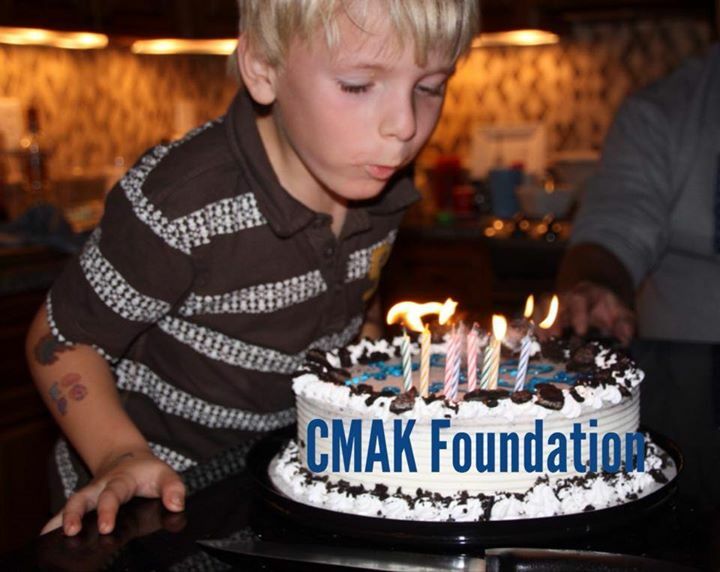 Although this challenge focuses on bicycling, participants can meet the challenge through running, swimming, walking or all the above if they log the equivalent number of hours in training of riding 1100 miles up until Chase's 11th birthday, October 31st, 2016. 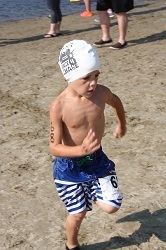 One of our new Race4Chase Kids Triathlon Program sites, Riverbrook Regional YMCA, is energetically accepting the Birthday 2 Birthday Challenge by offering its members to sign up and use the opportunity to raise money for the local program. 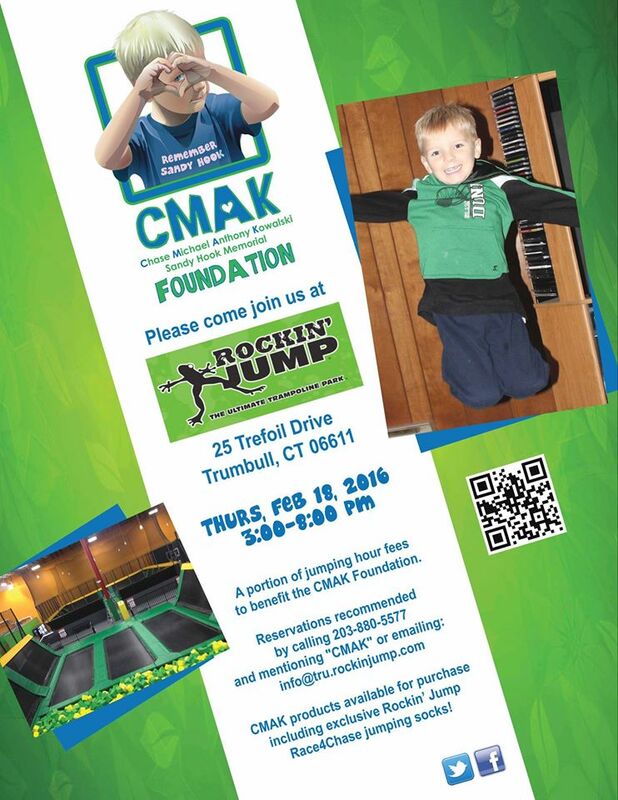 The B2B Challenge will have a kickoff event at Riverbrooks Wilton YMCA on April 6th where members will be introduced to CMAK and the Race4Chase Kids Tri Program and joined by Rebecca Kowalski for a few miles of biking. 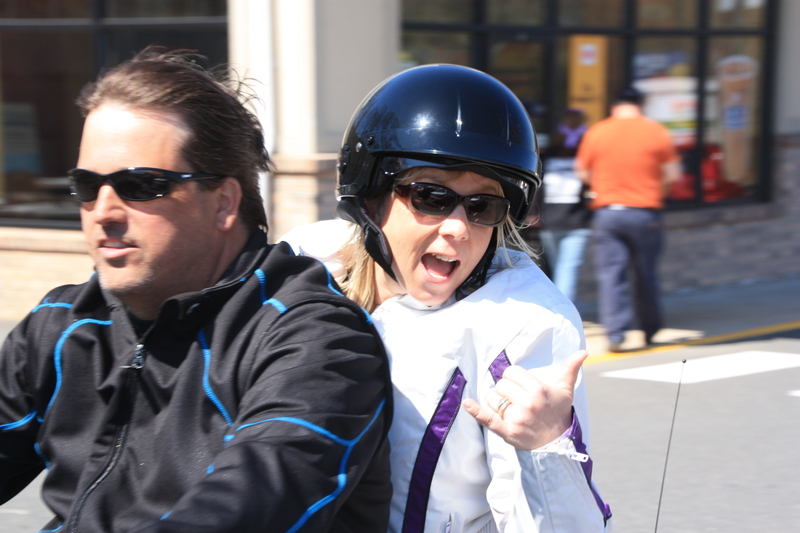 Birthday 2 birthday challenge participant Kathy and Scott Mason have a great reason to be smiling and showing thumbs up, they got their new bike's through Zane cycles and their special discounted packages for Race4Chase B2B cyclists! Call Tom Girard (203)-488-3244 tell Tom Race4Chase sent you and get a great deal on bike's like Masons' or ours I've been putting on the miles this winter but have a ways to go. 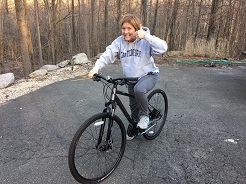 I love riding the rail trail with my new trail bike along with Steve and his new bike. We look forward to getting to 1100 miles to celebrate Chase's 11th birthday. So if you need a bike Zanes was a great experience for us, so give Tom a call. There is still time to accept the challenge. Please email kgrimes@chasekowalskifund.com so we can keep you up to date on the opportunities to get together in pursuit of the challenge. 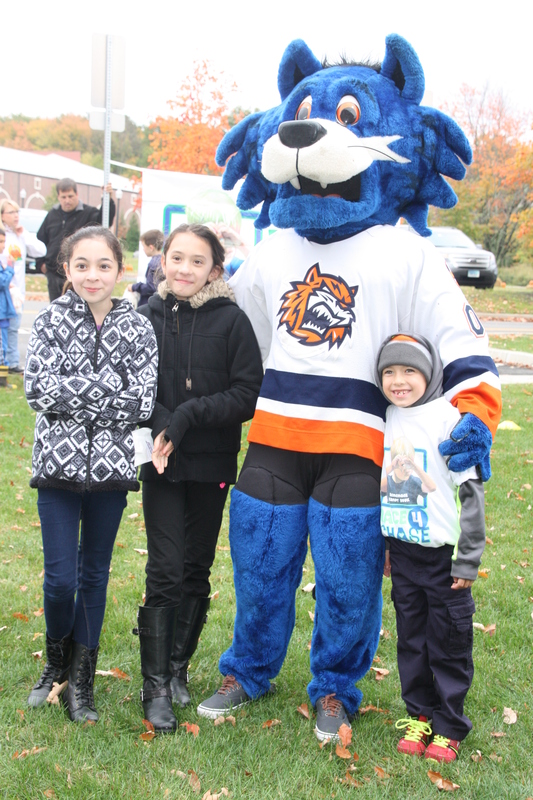 Family fun is what we are all about! Spending quality time together and sneaking in exercise makes it even more fun. 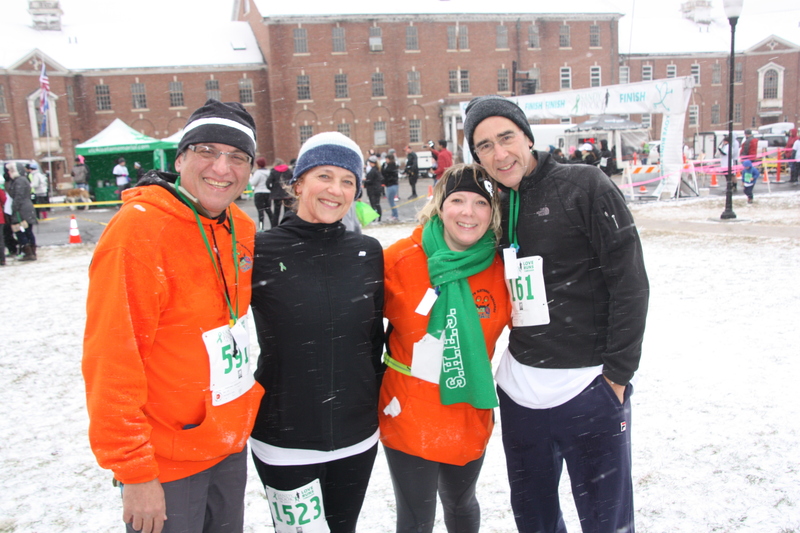 That's exactly how it was February 18th when a bunch of Race4Chase families got together to get our jump on. It was also exciting to see so many trumbull program kids getting together to reconnect and get hugs from their amazing coach Heidi. 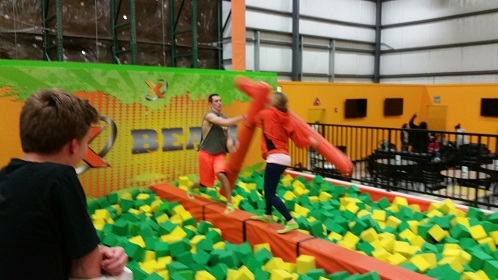 Rock and jump has added a rock wall and a jousting bar. My own daughter took me out with two swift hits. I think we need a rematch! 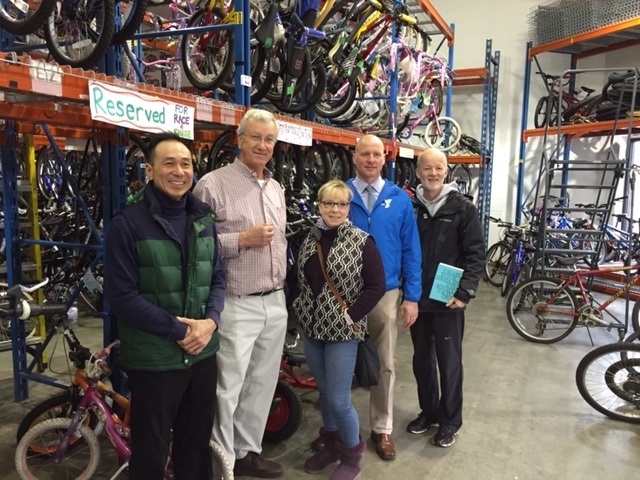 Race4Chase Kids Triathlon prepares for delivery from Bikes for Kids of refurbished bikes for the programs in 2016. 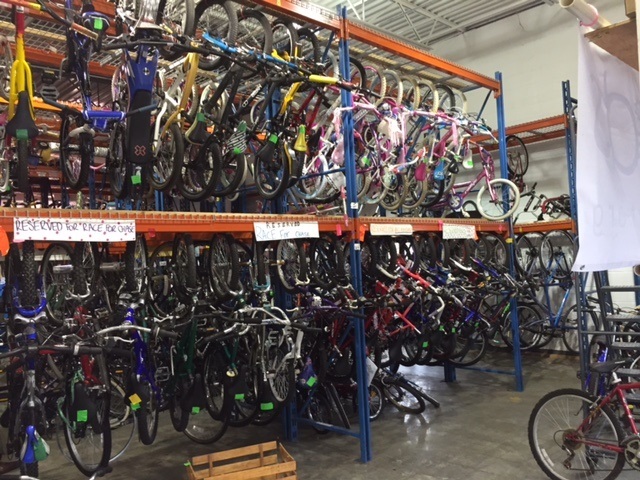 Over 100 bicycle are already ready to move with another 100 on the way. 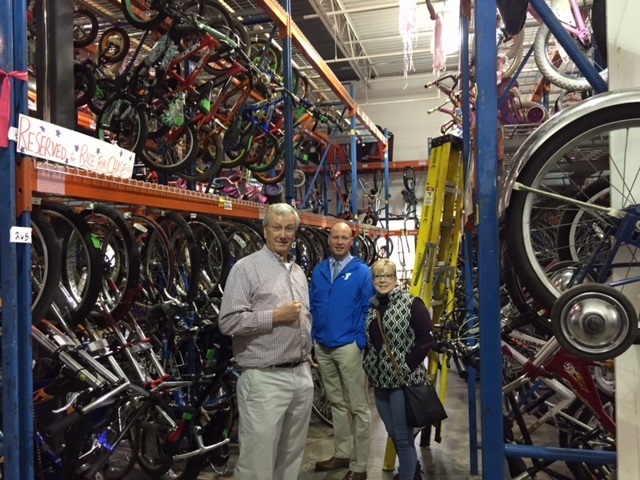 Rebecca Kowalski, Jim O'Rourke of the Greater Waterbury YMCA and Kevin Grimes visited Dave Fowler at the Bikes for Kids warehouse in Old Saybrook. Sunday, May 1st, 2016 !!! 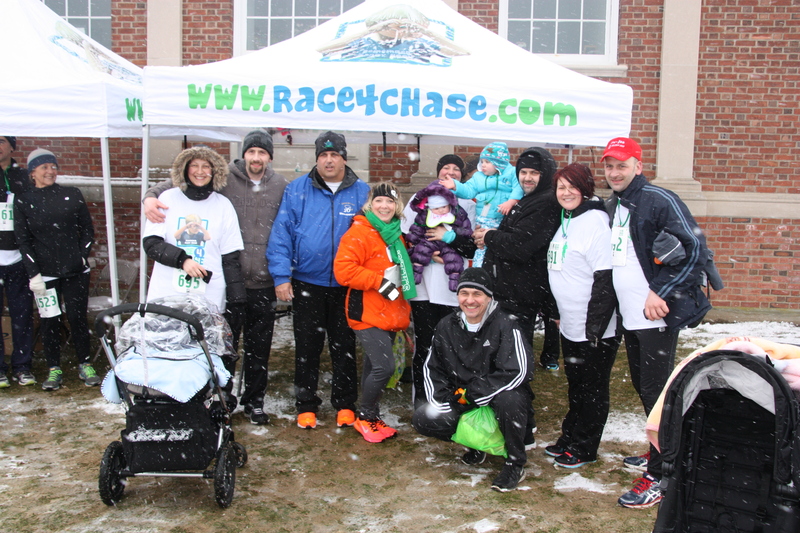 For the fourth year, the Race4Chase community will gather at the Sandy Hook 5k in Fairfield Hills, Newtown on April 2nd. 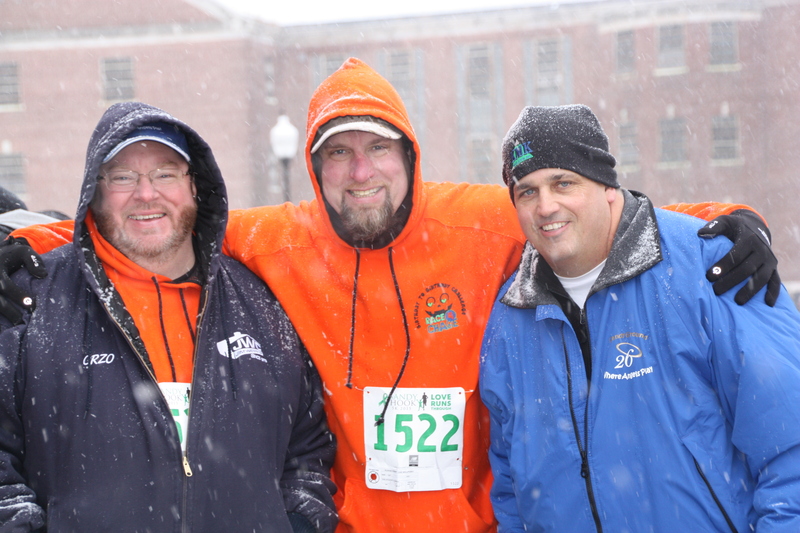 Please join us to run, walk and enjoy the camaraderie. 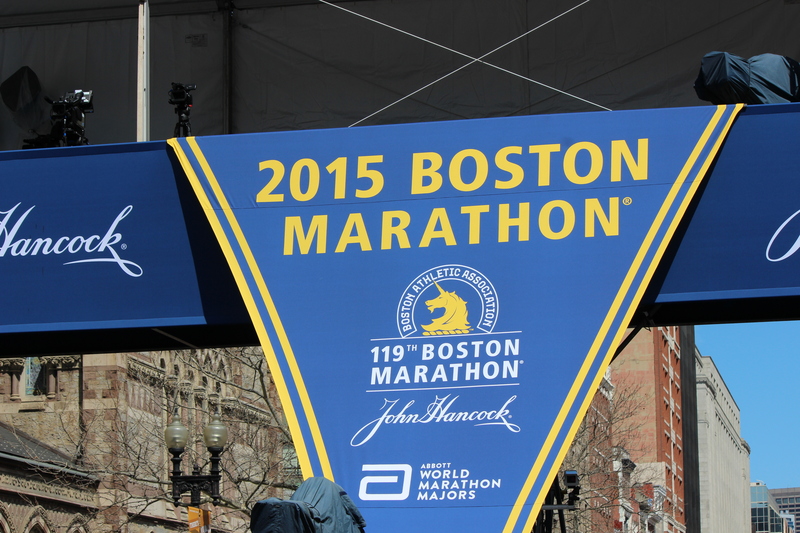 The excitement for the Race4Chase Boston Marathon begins to build as the event draws near. For most, the next two weeks requires the most miles in training plans until our athletes start to tapper to be at their best for the big day. The weather has been cooperating making the effort that much more enjoyable. 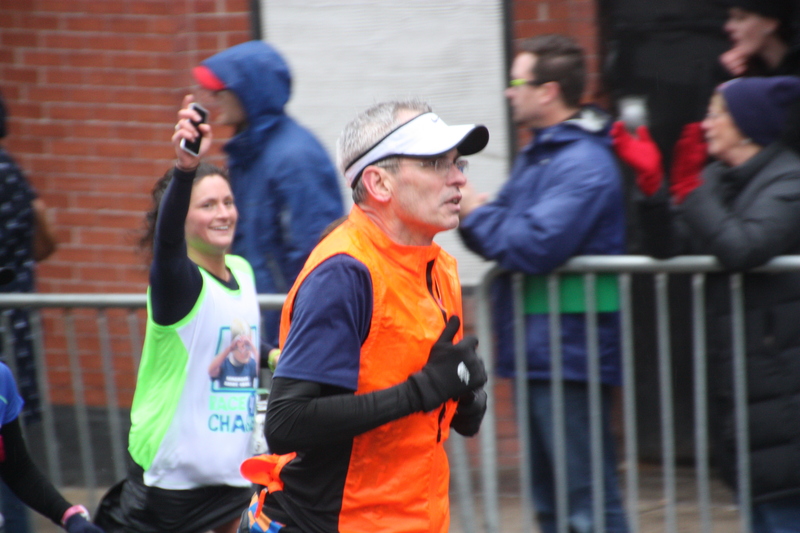 We are happy to report that both our John Hancock charity bib runners, Kristen Havey and Stephen Pelletier have surpassed their fundraising minimum goal of $5,000. 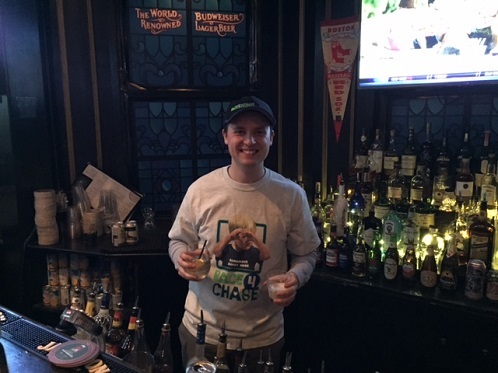 Stephen achieving the milestone as guest bartender at CMAK Pub nite at McGreevy's Pub on Boylston Street. 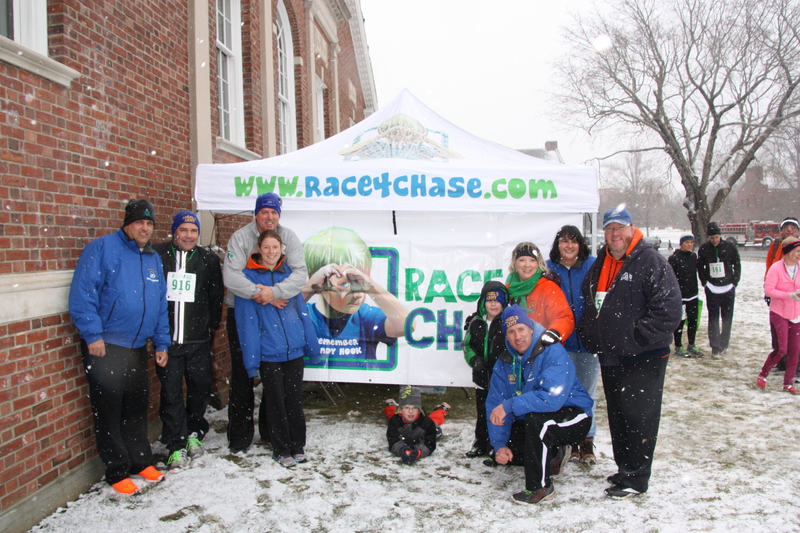 (see below) The team's total fundraising effort has reached almost $16,000 which is on pace to exceed the $23,000 raised by the 2015 Race4Chase Boston Marathon team. 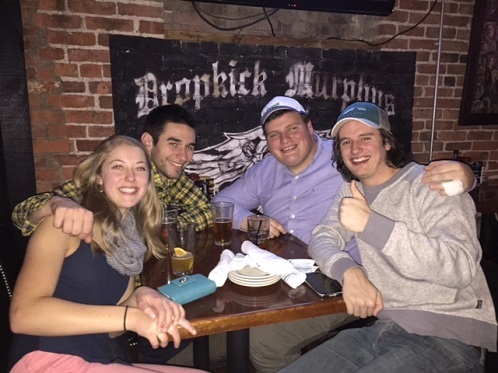 CMAK nite at McGreevy's Pub on Boylston was a time for opportunity, camaraderie, celebration and anticipation. 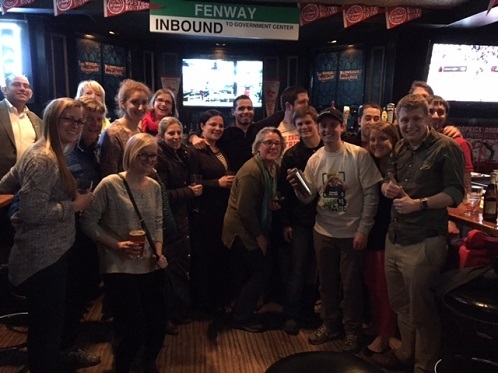 It was an opportunity for Stephen Pelletier to test his bartending skills for friends, family and new acquaintances. It was the first opportunity that Stephen and his family had to meet Rebecca Kowalski and share their experiences. It was a good break in Stephen's training with an evening of camaraderie in anticipation of the Marathon which is rapidly approaching. 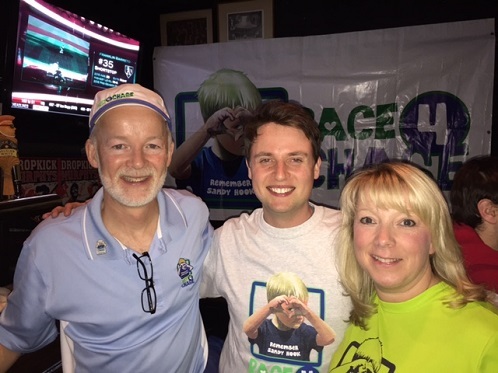 It was a celebration of Stephen surpassing his minimum fundraising goal leaving only a few more weeks of training as his final hurdle leading up to race day. 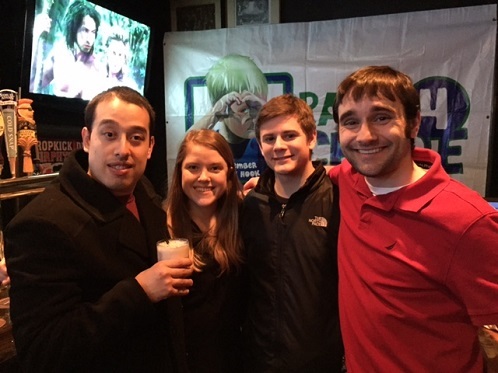 Stephen raised a total of $1,040 on this night for his campaign. Erin Flanagan has chosen the St. Jude's Rock 'n Roll Marathon in Nashville, TN on April 30th, 2016 as her next contest in her quest to complete a marathon in each of the 50 States. This will be her 12th marathon. We wish her all the best in her training and on race day. She will hand off the 15th Race4Chase baton to be put in circulation to a worthy athlete at the event.